Who is Sarah Afshar? She is currently a business executive, as well as: beauty junkie, foodie, DIY enthusiast, philosopher, artist, fashionista, adventurer, realist, optimist, athlete, gamer, activist, visionary, musician, mystic and the voice for the voiceless. She is also a reader and writer. In fact, her content has been featured on Examiner, AXS, Yahoo! Voices, Yahoo! News and more. Want to know more? 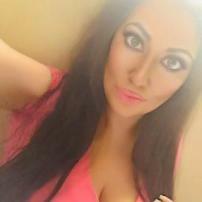 Read her content or visit www.sarahafshar.com today.